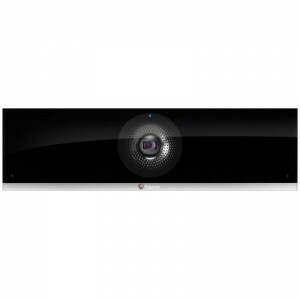 Part Number : 7200-23270-125, RealPresence Debut - 1080p: all-in-one HD codec with built-in mechanical pan/tilt cam & mic, remote, NTSC/PAL. 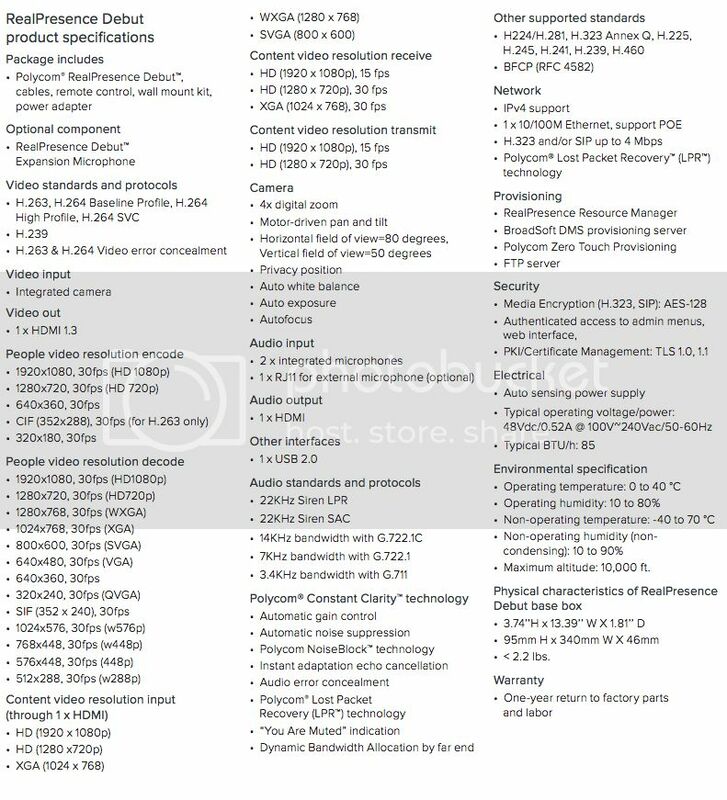 Cables: 1 HDMI 1.8m, 1 CAT 5E LAN 3.6m, Power: Power: UK - Type G, BS 1363. Maintenance Contract Required. 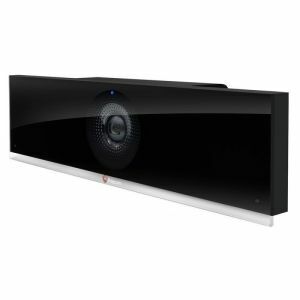 Polycom® RealPresence Debut is an enterprise grade video conferencing solution made simple, elegant, and a ordable for huddle rooms and smaller spaces. It also delivers cost-e ective collaboration for smaller organizations that are ready to move up from consumer-grade alternatives, which are great for chatting with friends but don’t get the job done at work. Spaces and organizations of all sizes need enterprise-quality tools to keep up in today’s increasingly competitive global market. 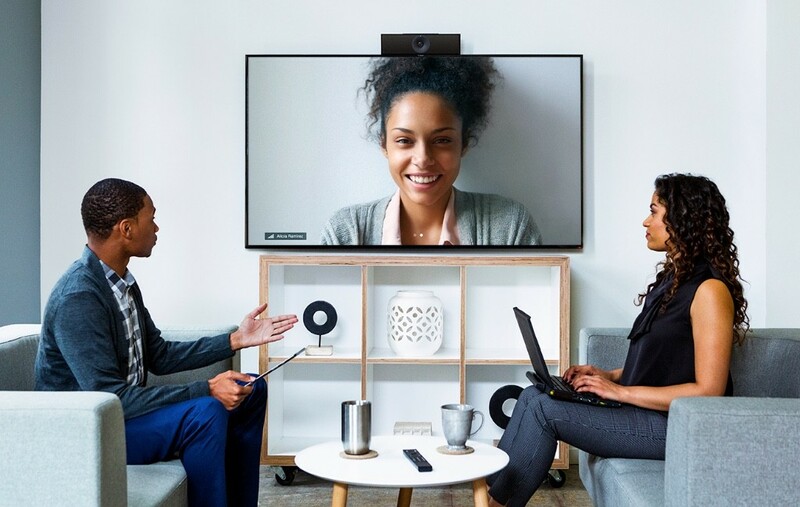 RealPresence Debut delivers video collaboration that is sharp, rich and reliable, with full 1080p HD quality you can count on. Polycom® Lost Packet Recovery (LPR) technology keeps your meetings clear and on track, even through tough network conditions. 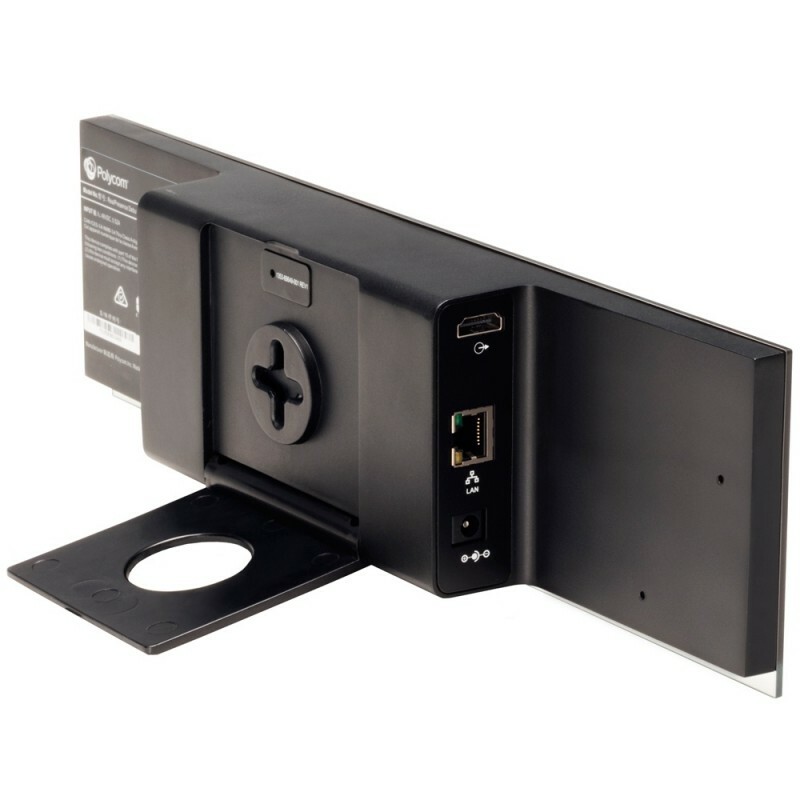 on top of your monitor, with no boxes to hide or cables to trip over. Integrated stereo microphones are optimized to capture every voice equally in smaller spaces, or add an optional extension microphone for even greater pickup. 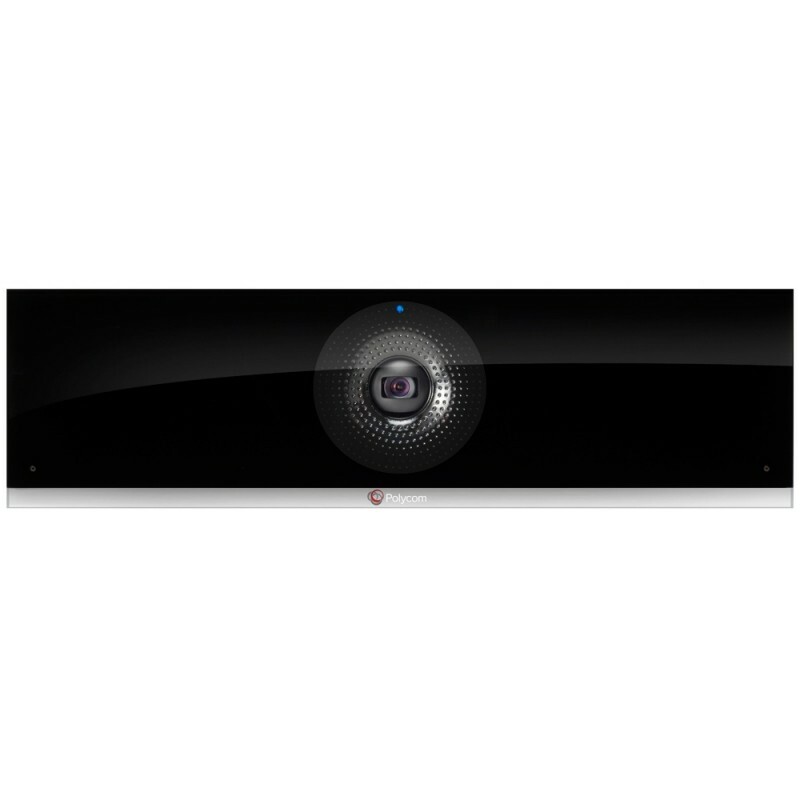 RealPresence Debut gets you up and running with enterprise-grade video collaboration quickly and easily. Every detail is designed for simplicity, ensuring anyone can set it up quickly without technical help. Place it on your display, connect two cables, and that’s it. The system will automatically configure itself when using RealPresence Cloud-enabled video services, making video calls just minutes after taking it out of the box.